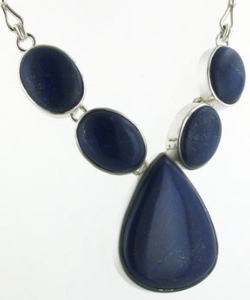 Our lapis lazuli necklaces are all set in sterling silver. 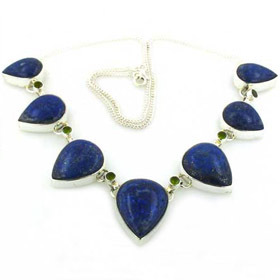 The lapis lazuli gemstone can vary in colour from a brownish purplish blue to a greenish blue. 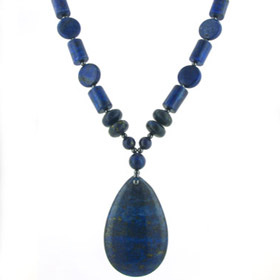 The gemstones used in these lapis lazuli necklaces are all the sought after blue from royal to navy. 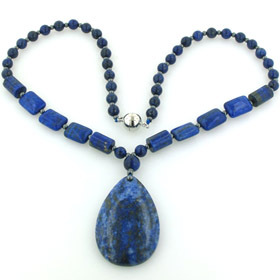 Yes, lapis lazuli is the September birthstone.It's also the gemstone for the ninth wedding anniversary. 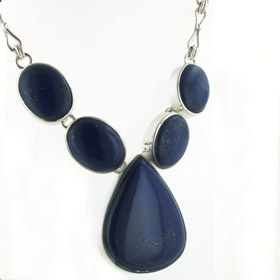 All the lapis lazuli used in these necklaces is natural.